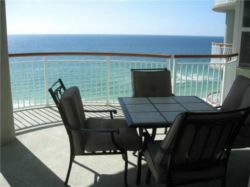 Navarre Beach Vacations is a small, fairly new company with years of experience. We are locally owned with over 20 years’ experience in property management and vacation rentals. We manage a select group of units at Beach Colony West so we are able to give individual attention to both our owners and guests. Our mission is to provide quality service, well maintained and super clean units. We feel it’s important to give each guest, owner and unit the personal service needed to maximize your rental potential. In addition, because we are on site, we will strive to make sure your investment is protected. The Beach Colony Resort is home to the trendiest new rentals on Santa Rosa Island. It's an ideal place to relax and enjoy the beauty of the coast in total luxury. The resort is located in Navarre Beach, a friendly town that's quickly growing and attracts nature lovers from around the country. 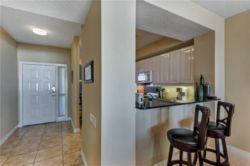 The complex is spacious and is perfect for everyone from solo travelers to large families. The Beach Colony Resort has an impeccable location just east of charming Navarre Beach. You can walk to some of the most stunning coastlines in America, and every unit provides beautiful views of the Gulf. The resort actually has its own beach walkway, so you don't have to go far to get to the water. Whether you like to swim, fish, snorkel, or boat, it's easy to enjoy all of your favorite water sports here. It's also a short walk to charming local restaurants, bars, and boutiques, as well as a local market, gas station and other necessities. Although Navarre is friendly and vibrant, it's not a huge tourist destination, so you'll feel like a local right away and have plenty of space to explore. In fact, many people are surprised by how often they find themselves alone in nature here. It's also a short drive to the town of Navarre on the mainland. Beach Colony Resort is also located halfway between the larger cities of Pensacola and Ft. Walton Beach, so you're just a short drive away from virtually everything of interest in the area. Pensacola is home to a naval air station, as well as a mid-sized airport that can connect you to larger cities throughout the country and the world. Ft. Walton Beach is a larger beach community that is home to many outdoor attractions and nature conservancies. Beach Colony Resort also has great amenities on site. You'll find a huge resort swimming pool where you can while away the sunny days, as well as a hot tub that's perfect for a calm, relaxing soak. It's easy to stay in shape with professional tennis courts and a fitness center, and if you like to socialize, there's a patio and barbecue grills where you can host a get-together. While you're staying at Beach Colony Resort, you will experience total luxury with every convenience at your feet. Each unit has beautiful balconies where you can relax outside, as well as three bedrooms and three bathrooms to spread out in. You'll also find private entrances, stunning architecture, and lush landscaping that emphasize the tropical paradise of the area. When it's time to relax, you can connect with WiFi throughout the resort. Covered parking protects your vehicle rain or shine. Beach Colony Resort is one of the trendiest new rental properties in the Navarre Beach area. With its amazing location and luxury amenities, it has quickly become a sought-after place to stay, whether you're just visiting for an extended beach vacation or staying longer term. We had a wonderful four days here on Navarre Beach. The condo was beautiful and that's everything we needed. The balcony was awesome!